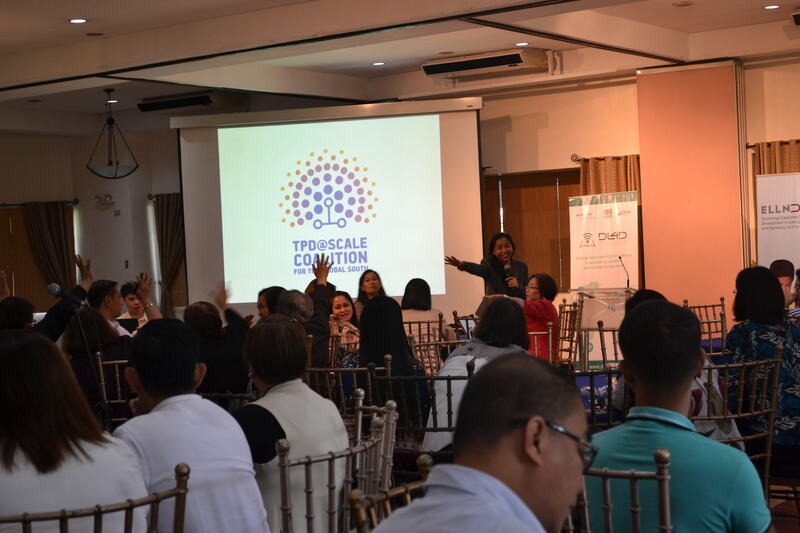 The Philippine Department of Education (DepEd) launched TPD@Scale Philippines on August 28, 2018 with a workshop for regional and division field offices on the program’s inaugural blended learning course for teachers called ELLN Digital. “ELLN” is short for Early Language, Literacy and Numeracy; “Digital” refers to the blended learning design of the course, a combination of guided independent study using multimedia courseware, classroom application and reflection, and face-to-face co-learning in school-based learning communities. The course, intended for K to 3 teachers, covers the fundamentals of teaching reading and arithmetic in the early grades. Over 120 chief education supervisors and curriculum implementation chiefs from all over the country gathered in Quezon City to prepare for the national roll-out of ELLN Digital to over 300,000 teachers in more than 38,000 schools by November of this year. “The Department is committed to ensuring improved student performance nationwide. And the key to this is sustained high-quality teacher professional development,” says Rosalina J. Villaneza, Chief Education Program Specialist, Bureau of Learning Delivery-Teaching and Learning Division. ELLN Digital was piloted in 2016-2017 with over 4,000 teachers in 240 schools nationwide. The pilot was a collaboration between DepEd and the Foundation for Information Technology Education and Development (FIT-ED), with funding support from the United States Agency for International Development through the Philippine-American Fund. FIT-ED is the Secretariat of the Coalition.